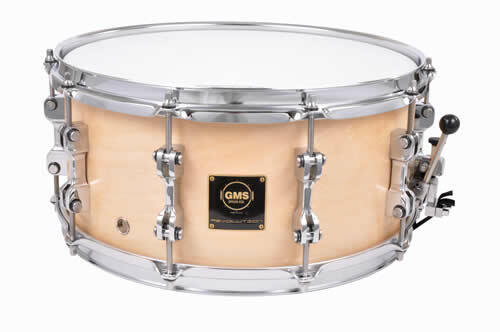 Revolution | GMS Drum Co.
GMS’s new Revolution Series drums feature a thin coating of real metal on the company’s premium-quality maple drum shells. 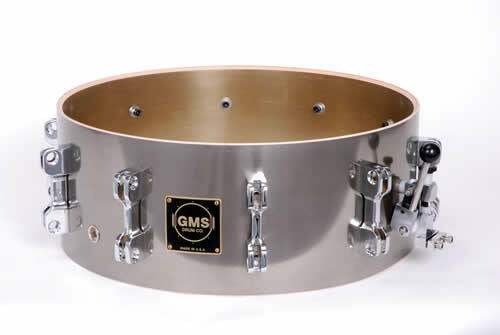 Available metal types include brass, copper, nickle/steel. 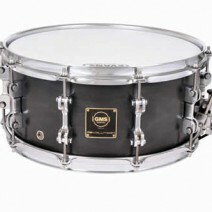 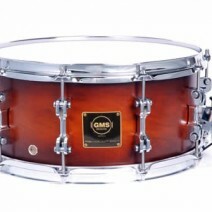 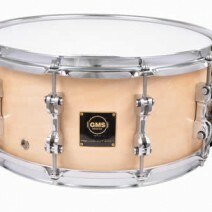 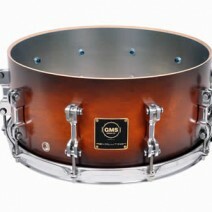 Drummers can choose to have a metal coating on the inside, outside, or both surfaces of shell. 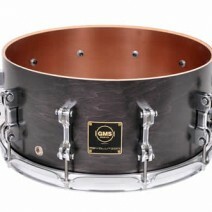 (The coatings are visually striking and distinctive.) 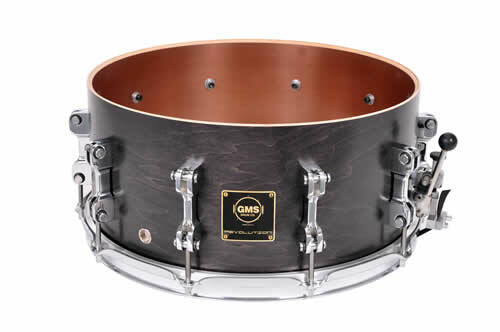 They can even mix and match different combinations of metal and wood—for example, nickel on the inside and bronze on the outside, or copper on the inside and wood on the outside. 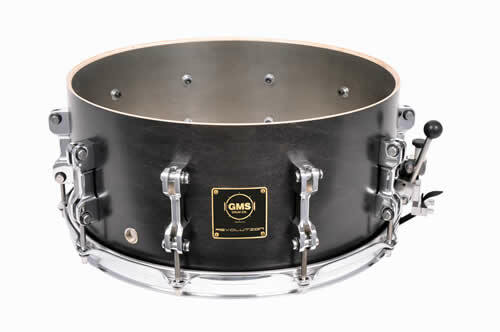 Revolution opens up a whole new palette for drummers to personalize their sound. 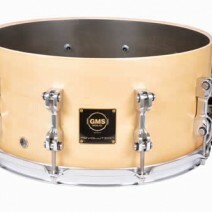 The range of choices, both visual and sonic, is enormous. 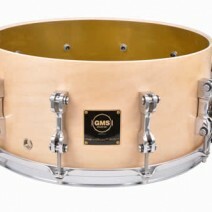 Adhering to the wood with a chemical cross-link bond, the metal is thin enough—approximately 1/32″—to make a negligible difference in the shell’s overall mass, therefore having no appreciable effect on its fundamental pitch. 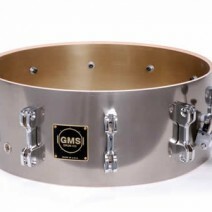 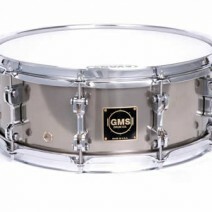 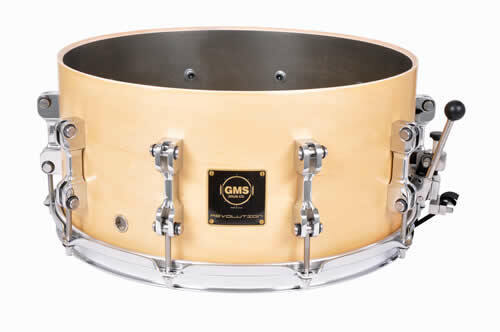 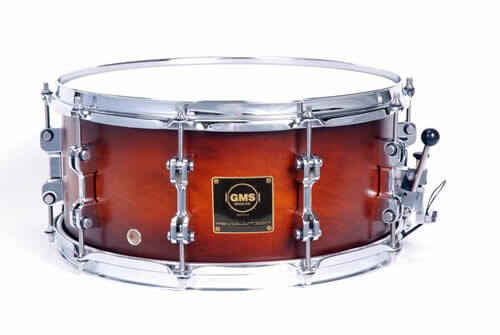 However, each metal type has a noticeable impact on the drum’s tone due to its characteristic reflection properties within the shell’s air column and the complementary interaction of wood and metal vibration frequencies. 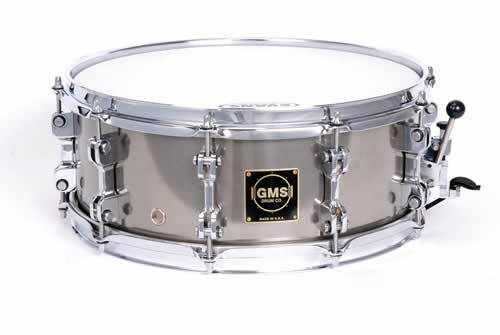 Bearing edges are left uncoated to promote a warmer tone, while the metal coating amplifies attack, projection, brightness, and bite. 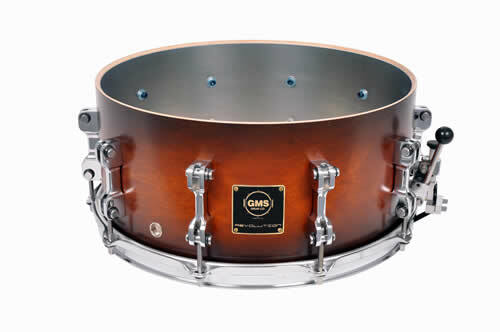 Each of the metal coatings adds its own distinctive vibe to the drum. 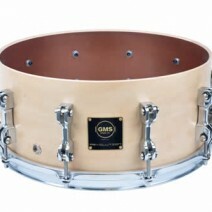 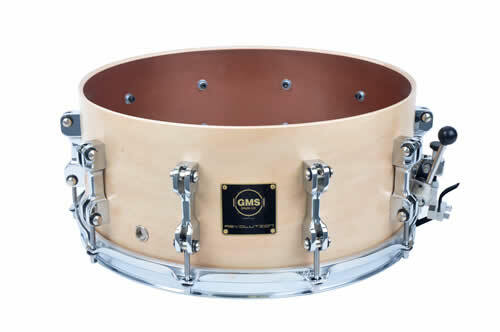 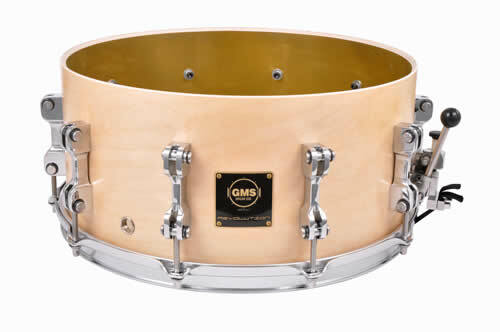 If you have a brass lined drum, you’ll get that brass sound, but the mass of the maple gives the drum a lot of “thickness”, unobtainable in a metal-only drum. 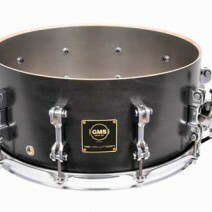 These drums have an incredible amount of “headroom”; when you really hit the drum, it just knocks you of your throne!! 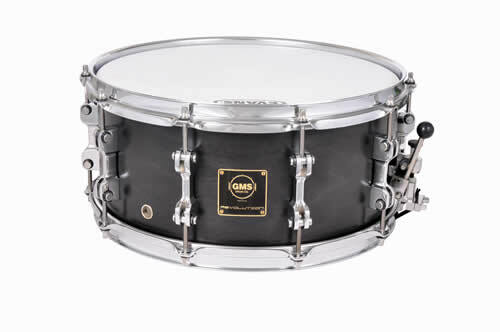 With Revolution, drummers suddenly have a hi-def tool for defining—and creating—their ideal drum sound.